Hello everyone, I hope y’all are doing well. I had a pretty good week. The school year for the school district is winding down so I should only have a few days of substitute teaching left and then a long summer break. I also know for sure now that I can register for my comprehensive exam and I already know the test date – once that is done I can apply for graduation on my Masters of Engineering program. I also just got back from floating the river in Gruene, TX which I haven’t done in ages. All in all, things are looking up. Today I want to talk about an innovation in curing concrete being researched at Purdue University which could significantly reduce cracks in concrete bridge decks. The concept being researched is a high strength concrete being cured using an internal curing process and the research shows that it could double the life of the bridge deck. The concept was first discovered in high strength concrete by Dr. Jason Weiss in 2004. Further research by Dr. Weiss also showed that there could be a lot of potential uses for moderate grade concrete as well. The normal curing process works by adding the aggregate, cement mix and water separately. The way internal curing works is that highly porous aggregate with moisture and cement mix are combined and the curing process occurs from the inside out as the water is pulled out of the aggregate by the cement mix. Once the appropriate proportions were determined, samples were tested for salt ingress, corrosion and cracking. The material has now passed the test on samples 15 ft. long and 3 ft. wide. Along with that, a few bridges built by INDOT have used internally cured concrete as well and they seem to be holding up. INDOT believes this curing process has potential and plans on moving into full scale field trials while also trying to gain more accurate information on life cycle data. However, there are a couple challenges with this new process as well. One challenge is that moisture content of aggregate is much more critical. It may seem like an easy issue to account for; but if the crew doesn’t have the training to account for this, it could make it more difficult to construct. The other is that there is a slightly increased up front cost as compared to the traditional process; however, Dr. Weiss believes that the large decrease in maintenance cost in the future should make up for that. Overall, I believe that this is a promising improvement in the bridge deck curing process. 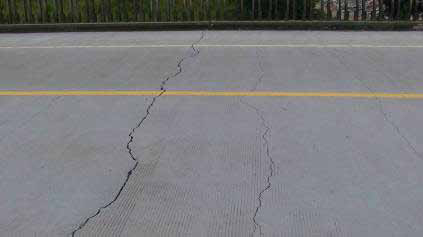 Not only does it reduce cracking and maintenance cost; it also increases the lifetime of a bridge deck. Along with that, there is a lack of resources in regards to construction crews and budgets – implementing this process could do a lot to ease the load in both of these areas. What is your opinion on internally cured concrete? Do you think the benefits projected by Dr. Weiss are too optimistic, not optimistic enough or mostly accurate? Thank you for your time and have a good weekend!